Courtney Stodden is no stranger to alter-egos, and she will soon be releasing her first EP as one of them. The 23-year-old aspiring singer has chosen to eschew her trademark blonde hair in favor of red to become Ember, who will be releasing the EP Off the Record later this summer. But fans of Courtney need not wait for a sample as she has posted the first song from the EP titled "For You" online! 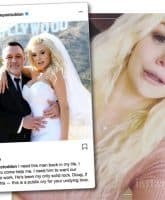 Courtney Stodden, who made headlines when she married then 50-year-old actor Doug Hutchison at the age of 16, is speaking out about her divorce. Stodden, now 22, opened up about her split ahead of a divorce themed party in Vegas hosted by some of her scantily clad gal pals. If you're looking for something a bit more racy than eggnog to spice up your Christmas holiday season then Courtney Stodden has just what you need! The 22-year-old reality star and singer has just released her yuletide music video "Mistletoe Bikini" in which she puts the X back in X-mas and essentially molests Santa Claus, who doesn't seem to mind because he is married to the worst representation of Mrs. Claus ever created. Courtney Stodden got a visit from a stork wearing a UPS uniform this week as she welcomed a "reborn baby" to help cope with the grief of losing her first child to a miscarriage earlier this year. After famously shaved off her trademark blonde hair earlier this month as a tribute to the child she lost to miscarriage, Courtney Stodden was photographed out shopping for some hair replacement in the form of a series of brightly colorful wigs. Keep reading to see Courtney trying on a rainbow of manes, including her final choice! 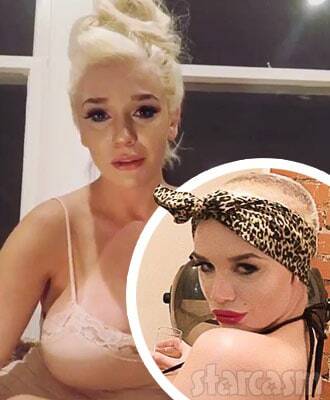 Courtney Stodden looks to have transitioned from her Marilyn Monroe phase into her Elizabeth Taylor phase as she GOES OFF on Brody Jenner in a new video while smoking a cigarette and sporting a tightly wrapped cloth over her recently shaved head. Keep reading to watch Courtney's profane tirade, and find out what Brody said that set her off! Courtney Stodden has been having a very difficult time dealing with the loss of her unborn child to a miscarriage last month. 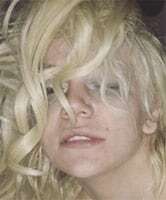 Last night, Courtney posted a video announcing she planned to "give back to [her] angel" with the "symbolic gesture" of shaving off her head -- which she followed through with and shared pictures of.